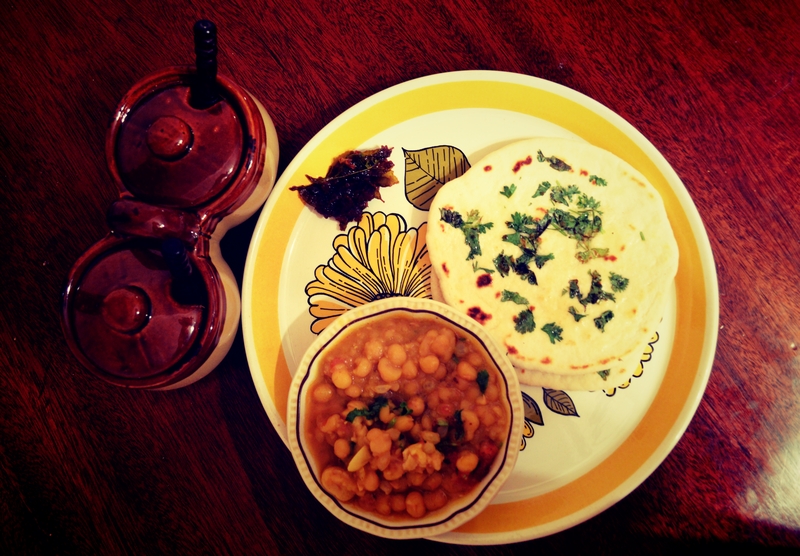 Mouthwatering Monday – Indian Bread – Kulcha | My Journey So Far…. Kulcha is the most famous Punjabi flat bread. I love eating it with spicy Chole and Paneer dishes. Although, I prefer it with Matar or Chole. Here is one version of Kulcha which is not fried but rather cooked with almost no oil, on a skillet. Mix Flour with Baking Powder, Sugar and Salt, in a bowl. Add Yogurt, oil and mix well. Use Milk to make a soft dough. Rest the dough for atleast 2 hours. Make small round patties with dough and roll it to make into flat elliptical shape (look at the pic for clarity). Heat the skillet/flat pan, and sprinkle little oil over it. Place Kulcha on the skillet. Brush top of Kulcha with water and sprinkle cilantro leaves on it. (you can also use Kalaunji). When top part start making bubbles, flip it over. Flip it again after a minute. Do this till your Kulcha got that beautiful golden color spot on it. Remove it from skillet. Brush with some butter and serve hot. 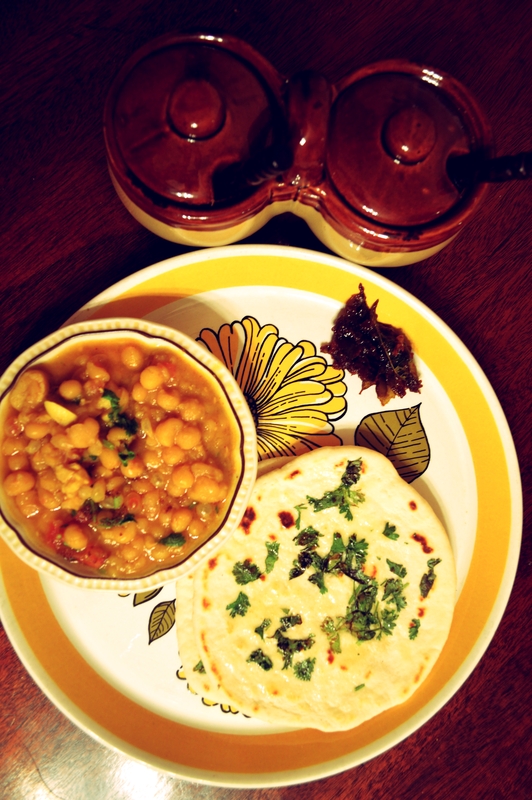 Kulcha is best served with Chole, but here I have used them with spicy Matar Daal. I love this combination. Along with Matar and Kulcha, we have Imli(Tamarind) chutney here.